New Campos Meta F1 team principal Dr Colin Kolles is meeting Bruno Senna today to discuss prospects for this season. Meanwhile Karun Chandhok has now emerged as a clear favourite for the second seat. Kolles knows both Chandhok and his father Vicky well as they are close to Vijay Mallya, and were regular visitors to the Force India motorhome when Kolles was running the team. Chandhok Sr is a well-connected FIA insider, and a friend of Bernie Ecclestone. 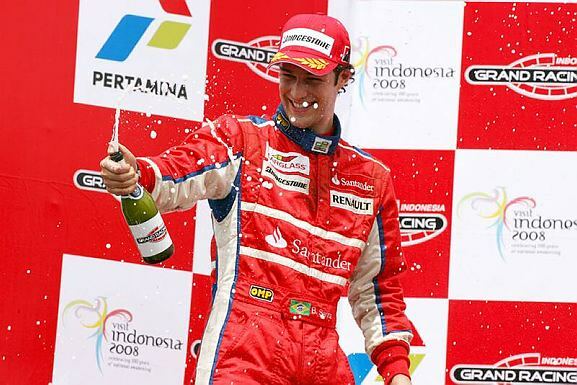 Co-incidentally Chandhok and Senna were team mates in the iSport GP2 outfit in 2008, when the Brazilian finished series runner-up, and the Indian was 10th. Intriguingly it seems there will after all be a role in the organisation for founder Adrian Campos, although it’s not clear what it may be yet. It’s now been confirmed that all the employees of the original project in Valencia will stay with the team in its new guise as it moves ahead with plans to get ready for Bahrain. For the opening races the team will operate from Dallara in Italy, before moving to a new base in Murcia.